The post Mtangoja sana! 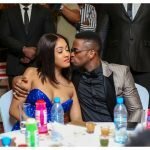 Tanasha Donna brushes off rumors claiming Diamond Platnumz is cheating on her appeared first on Ghafla! Kenya.